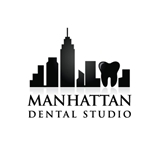 Manhattan Dental Studio (New York) - Book Appointment Online! Our comprehensive dental practice specializes in cosmetic, family, and implant dentistry, with a focus on oral rehabilitation. This includes maintaining oral health from childhood into adulthood as well as replacing lost, missing, or damaged teeth. We want to be a part of your lifelong choice, not a once-in-a-blue-moon stop to fill that cavity or fix that chip we told you about two years ago. We strive to provide our patients with ideal, personalized, long-term care instead of practicing "patchwork" dentistry. Fabulous first appt. I can't praise the experience enough. From the receptionist to the hygienist to Dr. Behren's I have never had a better dentist experience in NYC and I've been to a quite a few. Highly recommend.